A millionaire Tory MSP has been accused of “ambushing” the committee he chairs over changes to a report that could affect his financial interests, says an exclusive report from The Herald. Sources said Sir Edward Mountain sprang a list of suggestions on MSPs as they considered a draft report on salmon farming in a private session yesterday. Among the ideas was a ban on new or expanded salmon farms “in the vicinity of wild salmon rivers” pending the introduction of a tougher regulatory regime. The Highlands & Islands MSP earns thousands of pounds a year from wild salmon angling on the Spey, which could be hurt by a nearby farm and a spread of disease. Although the ideas were not radical, there was unease about the way they were given to the committee at the eleventh hour and about potential conflicts of interest. An SNP source described it as “highly unorthodox”. 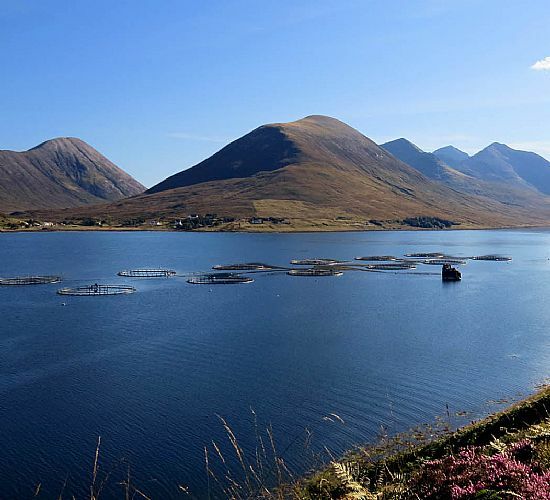 Holyrood’s rural economy committee has been holding a probe into salmon farming in Scotland all year, focusing on “fish health and the environment”. Many fishermen oppose farms, claiming they pollute rivers with waste and sea lice, harming wild stock. In his register of interests, Sir Edward, who was elected in 2016, declares “a 50% share of a rod and line salmon fishing in Moray, operated by Delfur Fishings” which has a total market value of around £8.3m, and yields a gross annual income of up to £240,000. He is also a “partner in and owner of 50% of Delfur Fishings”, earning £10,000 in 2017. His brother is also on the Spey Fishery Board which wants a presumption against farms in the North East extended and a “a new regulatory system” put in place. Sir Edward’s list pushed for the “precautionary principle” to be applied until a new enforcement regime to improve conditions on salmon farms comes into place. It said the effect should be that new sites “close to known environmentally sensitive sites and in the vicinity of wild salmon rivers and migratory paths should not be permitted”. It “should also apply to any proposed expansion of existing sites in such areas”. After some MSPs baulked at the process, it is understood Sir Edward deferred a final sign-off on the report and offered to discuss the matter with each of them individually. An SNP source said: “This is highly unorthodox behaviour from a committee convener, especially given his huge financial interest in salmon fishing. “It’s essentially an ambush on MSPs in private session – having a list of demands thrust under their noses at the eleventh hour. This article was originally published as Millionaire Tory MSP accused of fishy business in committee probe at The Herald on 13/09/18.